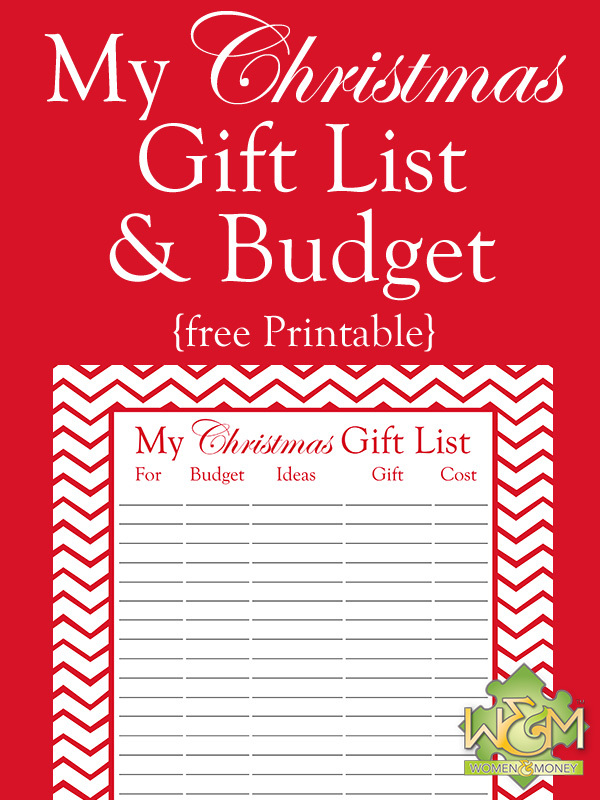 Christmas Gift List and Budget Printable - Women and Money Inc. The Christmas Gift List and Budget includes columns for your budgeted amount for each gift recipient, your gift ideas, the gift purchased (or made) and the actual cost you spent. At the bottom, tally up your total gift budget and your total gift cost (hopefully close to or below the budget!). Put the Christmas gift list and budget in your purse with a pen so you always have it with you when shopping and have a convenient reference for your budget, ideas, and what gifts you already have. If you like this free printable and would like more to come, please Pin this and/or comment below and let me know! Thanks and I hope it helps you organize your Christmas shopping this year! 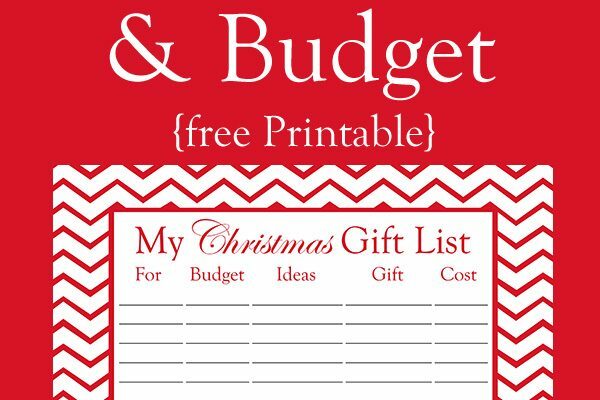 This Christmas Gift List and Budget printable is for personal use only. Personal use means non-commercial use and may not be used in any way whatsoever for which you charge money, collect fees, or receive any form of remuneration. The Christmas Gift List and Budget may not be used in advertising or resold, re-licensed, or sub-licensed.